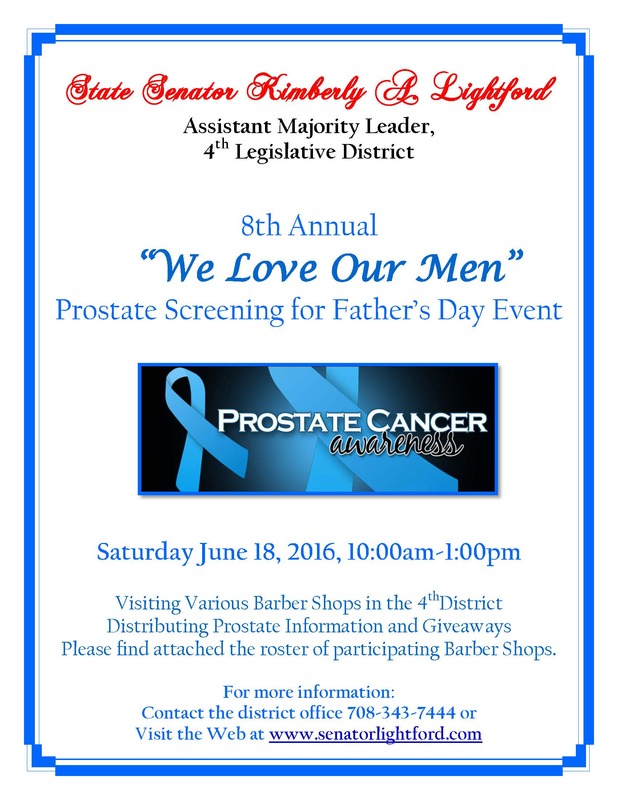 Saturday June 18, 2016 Senator Lightford and the 4th District Women’s Committee hosted the 8th Annual “We Love Our Men” Prostate Awareness for Father’s Day Event. The 4th District Women’s Committee visited about 20 Barbershops. The committee was accompanied by nurses from Loyola and Loretto Hospital. During the visits to the shops the medical staff was able to educate the community on early detection, risk and treatment of Prostate Cancer. In addition to providing education, there were over 300 gift bags with Prostate Cancer Awareness information and goodies distributed. The 8th Annual Prostate Awareness Event was wonderful and was well received by the barbershops' owners and clients. Senator Lightford hopes to continue to stay engaged with the community, especially as it relates to sharing valuable information on Prostate Cancer. It's important to continue communicating on this serious health challenge as an effort to decrease the death rate and increase the importance of early detection. 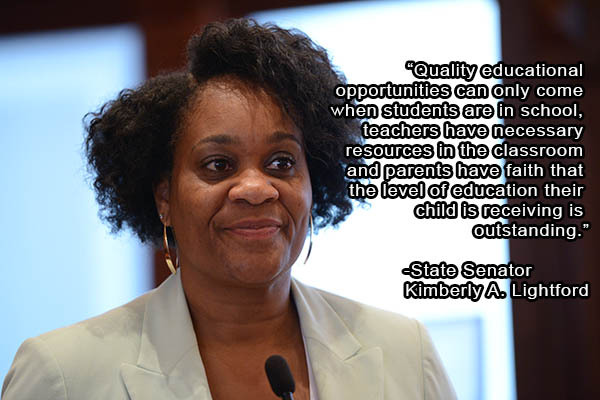 SPRINGFIELD- The Illinois Senate sent a proposal to the governor’s desk today that would provide vital funding for schools and human services. Senate Bill 2047 provides stopgap funding to programs for seniors, youth employment, autism, mental health and cancer screenings. Furthermore, the legislation provides funding for P-12 education that ensures schools will open this fall. The West Side Health Authority’s crisis intervention program will receive funding that allows them to continue providing services to West Side residents with critical health needs. The initiative coordinated in-home wellness visits and case management services to residents. 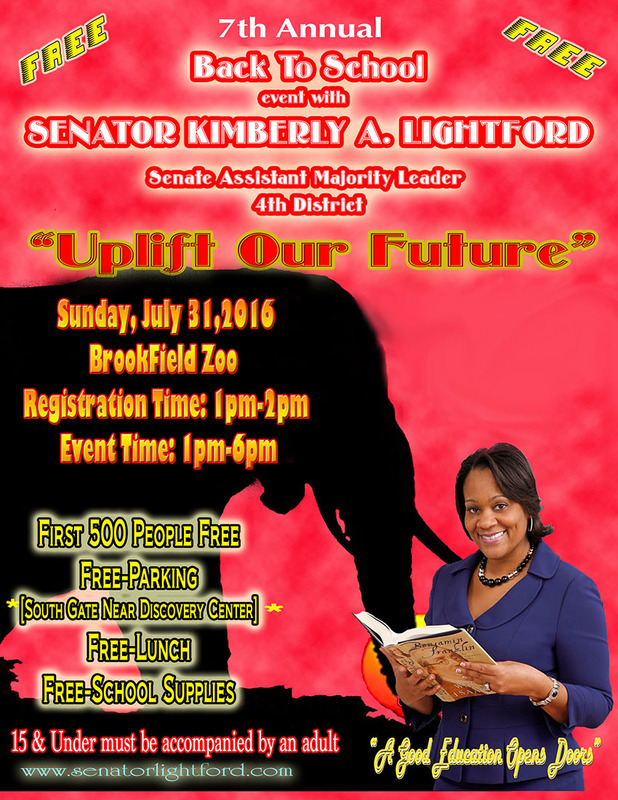 Please click the flyer below for more information.